A RUP LIFE: Book Review: Baa! Oink! Moo! Book Review: Baa! Oink! Moo! Little ones love to question the world around them. This is how they learn. Teaching them about God's creations is a special time. In the book Baa! Oink! Moo! God Made the Animals, we go along with a Momma and her little son as they walk along the farm. As they walk questions pop up about all of the different animals and the Mom explains how God made each animal uniquely like only He can! I loved this sweet story. 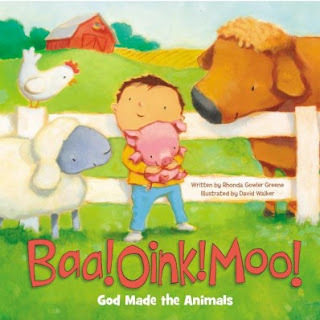 I love how the author Rhonda Gowler Greene weaves the story and includes the animal sounds as well. She shares a bit of information on each animal that makes this a true learning book while it is also a sweet and fun story. The soft illustrations by David Walker help add to the sweetness of the story. This is a board book inside and the outside is that slightly soft pillowly-hard cover which makes it perfect for little hands to hold and look through on their own. I've really loved this book for my youngest Logan who loves to sit and read. Sharing about the Lord in a story that he enjoys is one of the best parts of my day! Want to learn more? 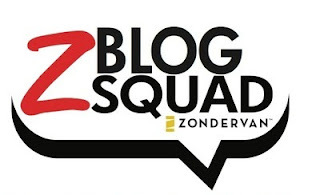 Visit Zondervan.com!